Before you head out on a road trip or an overseas adventure, how do you find out the best places for visitors and locals alike? This has changed so much for me in the past few years. Before, I would desire to go somewhere new that I learned about in magazine or maybe even TV (Hellllooo, Samantha Brown) and then head to the library and pick out a travel guide to learn more. With the coming of age of social media, there are just so many ways to learn or view destinations. And because these options are usually highly visual, they cater to our short attention spans- and for me- a need to decide quickly whether it is a place I desire to go or not. 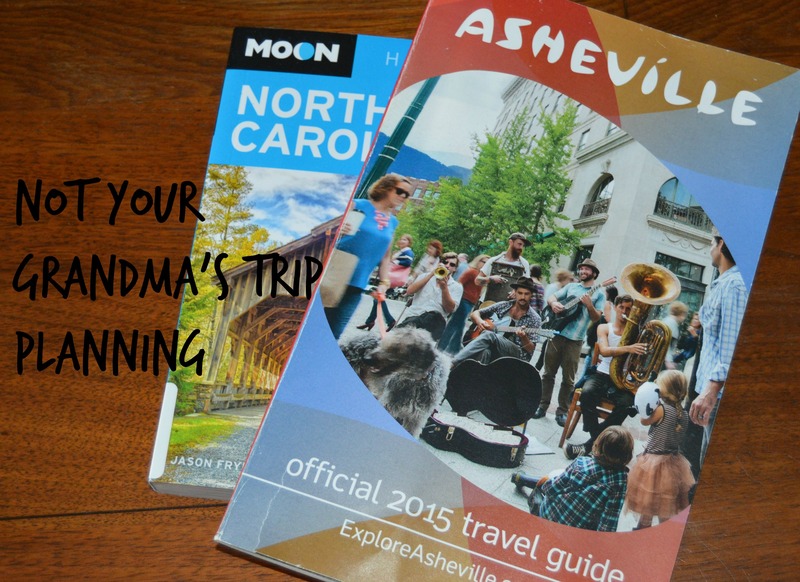 For example, we are headed to Asheville later this month (Yay!). Yes, I did my due-diligence and ordered a Visitor Guide from the Visitor’s Bureau, and also checked out a Moon Guide from the library, but I have used these less and less and social media more and more. An easy step is the find the local visitor’s bureau on Facebook so you can find out about local events or featured points of interest. I have done this for many cities and states (even countries) and it has proved helpful! You can also visit the page of a place where you know is on your list- i.e. the Biltmore Estate and see if they are offering any special tours or have special hours while you are there. Ahhh, Pinterest. This is my new travel Google. There is so much inspiration and information to be found on Pinterest. If you’re only using it for DIY and crafts, you are missing out! There are also so many “travel hacks” to be found for what to pack and how to keep the kids busy. You can check out all my boards here, but here’s a pic of my Asheville board. And how nice will it be to have all of the resources I want on my phone? I love using Instagram to see other traveler’s photos of a place I want to visit. Sure, it can be a little creepy and you may see personal shots you otherwise wouldn’t care about, but overall it’s a great way to get a taste of the site and what you may or may not want to do there. I did a hashtag search for #ChimneyRock and #PisgahNationalForest to give you an idea. And Jackson’s fingernail made a debut! 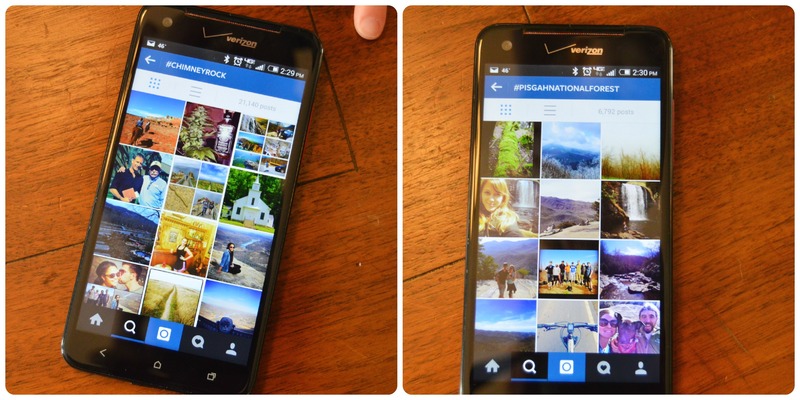 How do you use social media to plan your travels? 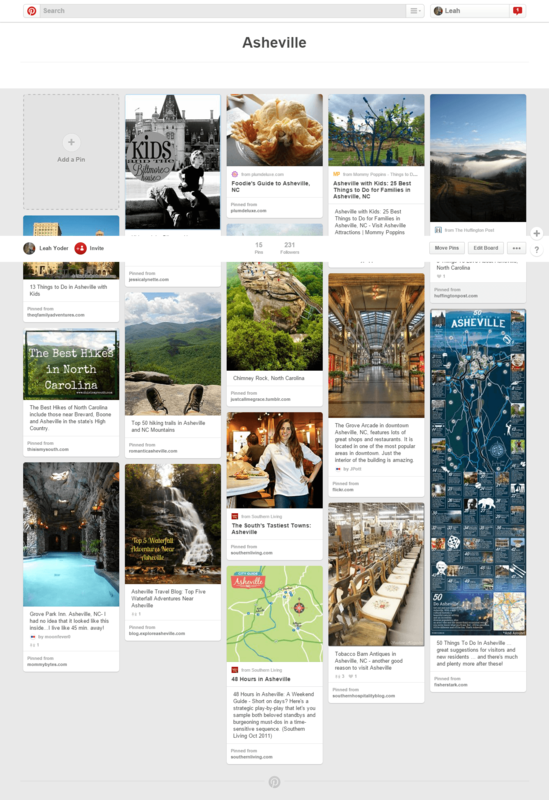 Have you created a Pinterest board for travel locations- or maybe just a bucket list? I’m thankful we have more than a wordy guidebook and a map to plan – even if it can be information overload at times!